It seems like every where you are going that there are recipes with bacon in it. The one we share here is no different. 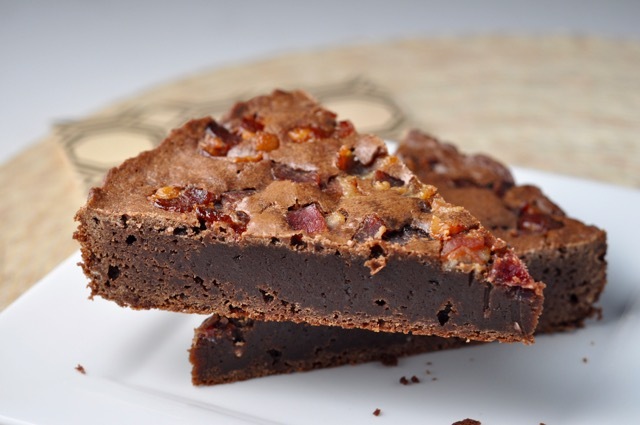 Bacon inside a fudgey brownie is delicious. In a large bowl, melt chocolate & butter in microwave for 2 minutes and stir. Stir in sugar, vanilla eggs, salt, espresso and flour. Pour into prepared pan and sprinkle bacon pieces evenly over surface of batter. So if oatmeal is in the listed ingredients in a cookie recipe does that make it fair gain?? Does it somehow make it better for you because of the great qualities oatmeal possesses. Oatmeal as we have heard helps reduce cholesterol and has fiber. Well no it does not work like that now does it. 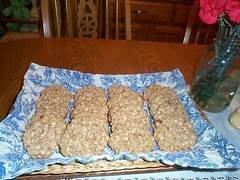 These lacey oatmeal cookies are very pretty and thin. You can eat them alone or make layered cookies from them. Preheat oven to 375° and line 2 baking sheets with parchment paper (or foil sprayed with non-stick spray, or buttered). In a medium bowl, combine oats and flour; set aside. 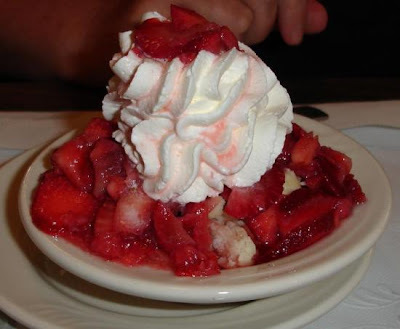 In a large mixing bowl, stir together sugar with melted butter and corn syrup. Add milk to mixture and blend well. Stir in oat/flour mixture and combine thoroughly. TO MAKE SANDWICHES: melt chocolate in microwave in 20 second intervals, stirring to prevent scorching. Spread a thin layer over the base of one cookie, then gently press the base of another cookie into the chocolate. 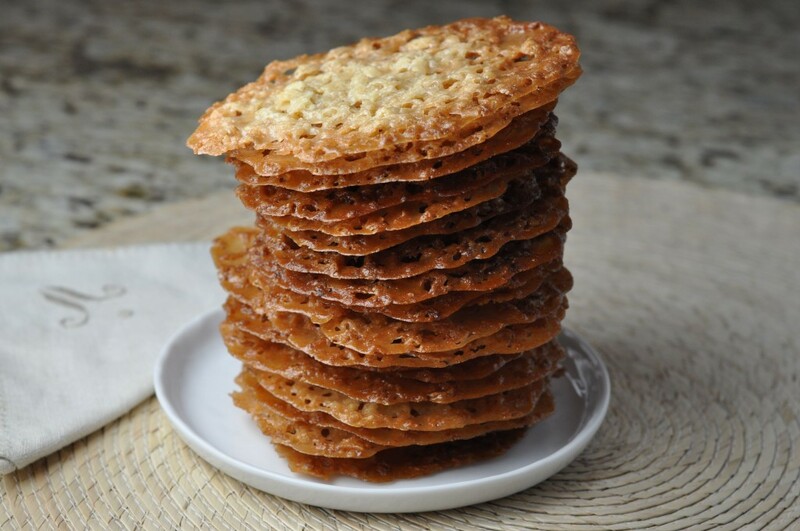 Allow to set on a rack or piece of parchment paper, with the side you spread the chocolate onto facing upright (as the chocolate will have blobbed out a bit through the lacy spaces). Early 20th century America cookbooks offer plenty of sloppy joe type recipes, though they go by different titles. Names such as toasted deviled hamburgers, chopped meat sandwiches, haburg a la creole, beef mironton and minced beef spanish style. Research shows that the sloppy joe began in Sioux City Iowa. A cafe served up a "loose meat sandwich" in 1930. The cook who created the sandwich went by no other name but Joe. In 1940's the sandwich was being referred to as a "sloppy joe" The sandwich could be purchased for a dime. In the 1960's sloppy joe sauce was sold in cans to purchase in grocery stores. Manwich was one of the brands available. Here is a version you will want to hopefully test with your bunch at home. In a large skillet, brown the ground beef, onion and green pepper. Drain and return to pan. Add the garlic powder, salt, pepper, ketchup, brown sugar, mustard, Worcestershire Sauce and water. Stir well, cover, reduce heat and cook 20 minutes. 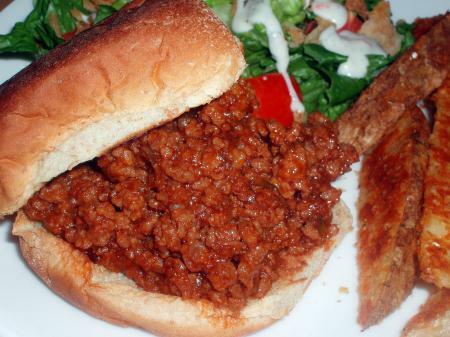 I hope you enjoy this homemade sloppy joe recipe! Heat oven to 350.F Beat eggs whites until stiff peaks form. In another bowl, beat yolks slightly. Beat in lemon juice and milk. Beat in remaining ingredients until smooth. Fold in beaten egg whites. Pour into ungreased 1 quart casserole dish. Place casserole dish in larger pan (I used a 9x13 pan). Pour 1 inch of hot water in pan. Bake 45 minutes or until golden brown. Remove casserole from pan. Eat warm. Thoroughly beat oil, brown sugar, egg, water and vanilla. Add flour, dry milk powder, salt, soda and cinnamon. Beat well. Mix in oats, wheat germ, nuts, seeds, etc. Drop by teaspoonfuls onto greased cookie sheets. Bake at 350 for 10-12 minutes, or until lightly browned. Did you remember to don your green today?? Finally the day that many have waited for the season of green beer, bagels and milkshakes. There are many foods like shamrock shaped cookies or green frosted cupcakes that are not traditional Irish foods but very much associated with St. Patrick's day. 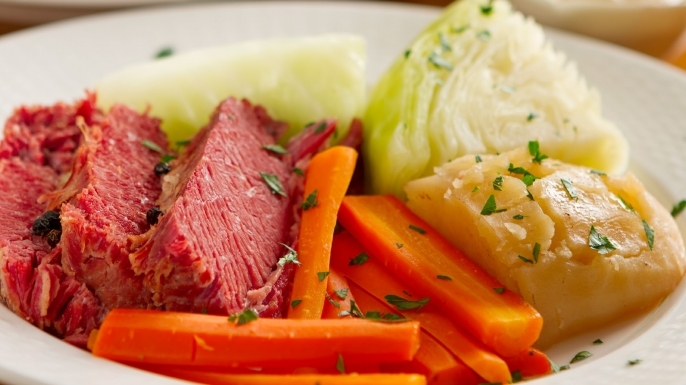 The traditional meal for St. Paddy's days is corned beef and cabbage. The dish came about when Irish Americans transformed and reinterpreted a tradition imported from the Emerald Isle. The first St. Patrick's Day parade took place not in Dublin but in New York City n 1762. During the 1800s Irish immigration to the United States would grow. When the immigrants arrived so did the wave of immigrants brought their own food traditions, including soda bread and Irish stew. Pork was the preferred meat, it was cheap in Ireland and was great on the dinner table. Irish bacon, a lean, smoked pork loin very much like Canadian bacon was a favorite meat. Pork was very expensive in the United States for most and so the immigrants turned to a staple meat in the American diet. From pork and potatoes came corned beef and cabbage. Irish immigrants lived beside and among others from European groups such as Jews and Italians The Irish working class in New York City often visited Jewish deli and lunch carts. This is where they tasted corned beef. This was often cured and cooked much like Irish bacon and was tastier and cheaper alternative as well. While potatoes were available in the United States, cabbage offered a more cost-effective alternative to cash strapped Irish families. Cooking the spiced salty beef in the same pot as the cabbage offered a simple hearty dish that was easy to prepare. Today there are corned beef and cabbage fans across the country. The perfect dish for everyone from housewives to busy cooks on trains and in cafeterias. The meal is cheap and easy to cook In 1862 Corned beef and potatoes was served at President Lincoln's inauguration dinner. Corned Beef and Cabbage may not be traditional but in the United States is as traditional to St. Patrick's Day as baseball and apple pie are. 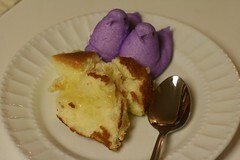 In a medium bowl with electric mixer, cream butter, sugar, key lime juice and peel until mixture is creamy and fluffy. Next add flour and salt and beat until thoroughly incorporated. Add macadamian nuts to dough mixture by hand. Roll dough into one inch balls and space about two inches apart on a cookie sheet. Bake in a 350 degree oven for 10 minutes. Do not overbake. Place cookies on a wire rack and cool for about 5 minutes. Ice cookies according to directions below. Key limes do not provide much grated peel. You could cheat and grate peel from a persian lime. 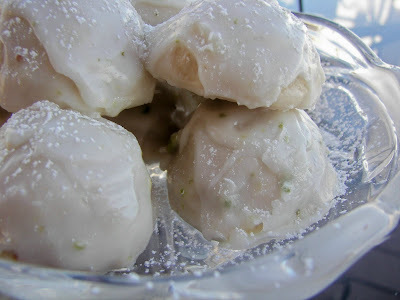 Mix key lime juice and peel and powdered sugar in a medium bowl until thoroughly mixed. Dip cooled cookies in icing ingredients. After dipping, place on wire rack to dry. Dip another time in icing and place on wire rack to dry. Makes about 18 cookies. 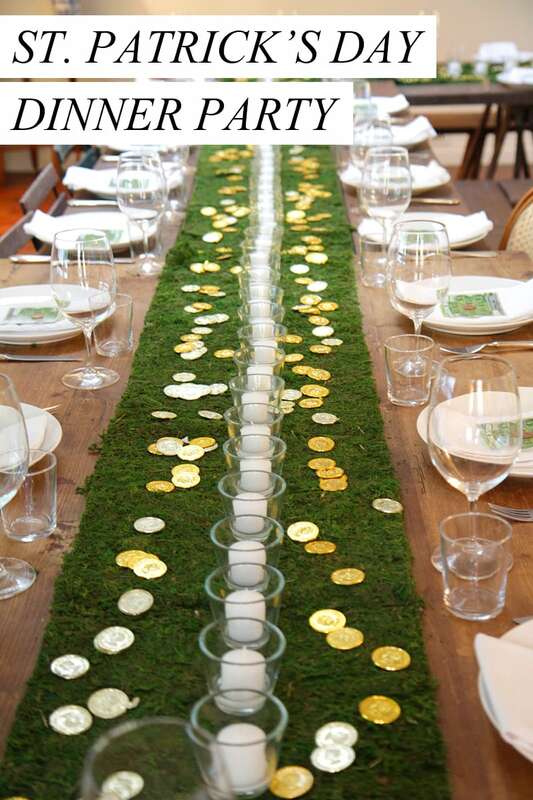 This is super cute tablescape. Perfect for anyone whether be someone that loves vintage or a younger generation table. It is a great way to celebrate St. Patrick's day. March 16th is Freedom of Information Day. The function of this day is to protect the United States as well as allow citizens to obtain that information to which they were entitled. James Madison Jr. was credited with the act. Madison was also known as "Father of the Constitution" wanted to form a nation that held no secrets from the people it served. James Madison would become the 4th President of the United States of America. Freedom of Information Day is Celebrated by colleges of Law and other organizations, holding panels that provide information on the rights and freedoms afforded by Freedom of Information Act. You can use any regular plain vanilla or basic white cake mix for these rainbow cupcakes. Make the cake batter according to your recipe’s instructions. Divide the batter into four equal portions, or however many colours you are going to be using. We used four colours so we divided our batter into four portions. Your portions do not have to be exactly equal for these rainbow cupcakes to work. Just go by sight and make them approximately the same. Next, add a few drops of food colouring to each portion, and mix! Don’t they look great! Make sure you’ve mixed the colour in thoroughly, with no white cake batter showing. Prepare a muffin tray by lining it with cupcake cases. Add a spoonful of each colour into each cupcake case. A little tip: to easily remove the batter from the spoon, use two spoons. Use the second spoon to scrape the batter off the first spoon as shown below. This is how they should look before they go into the oven. Bake the cupcakes according to your recipe’s instructions and this is what you’ll end up with. So beautiful! What’s your favourite flavour of cupcake? Let’s share in the comments. In Northern Minnesota during the 1950's a legend of St. Urho started. Whether it was a fable created b Sulo Havumaki of Bemidj or the tongue n cheek tales told by Richard Mattson of Virginia is not for sure. What is for sure is that the legend has grown from North Americans of Finnish descent to the point where St. Urho is known and celebrated across the United States and Canada and yes even in Finland. 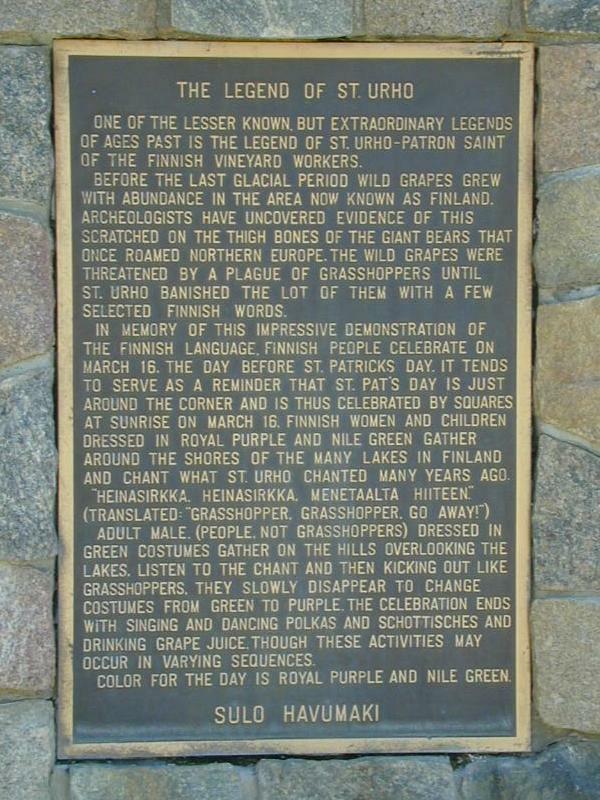 March 16th is St. Urho's day. This is the day before the feast of some minor saint from Ireland. The saint from Ireland you all may know is the one responsible for driving snakes from the Island. 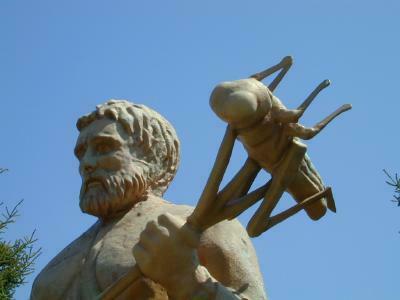 St. Urho has been given the credit for chasing grasshoppers from ancient Finland. With the grasshoppers gone the grape crop was saved as well as the jobs of vineyard workers. How did he do the feat?? The term "Heinasirkka, mene taalta hiiteen" which when translated means "Grasshopper, grasshopper, go to Hell" To celebrate wear the colors of royal purple and nile green because grapes and grasshoppers help represent the day. If politics are important to you then you may know who had a birthday today. Many of you may not know and many of you may not know who she is when I say her name. Yes I said her. 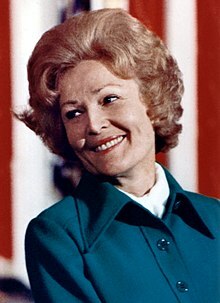 Thelma Catherine "Pat" Nixon was born March 16 1912. The wife of president Richard Nixon she was on the spotlight as a presidents wife from 1969 to 1974. Mrs. Nixon was born in Ely, Nevada. The sister of two brothers the family lived in Cerritos, California. Pat graduated from high school in 1929 and went on to attend Fullerton Junior College before heading off to the University of Southern California. She would work hard through school holding several different jobs including pharmacy manager, typist, radiographer and retail clerk. In 1940 at the age of 28 Pat married Richard Nixon a lawyer. Together they had two daughters. She would work hard campaigning for her husband in congressional campaigns of 1946 and 1948 for congress. During the Eisenhower administration her husband Richard would be elected vice president. In 1968 she would successfully work beside her husband as he campaigned for president. As first lady, Pat promoted a number of charitable causes. She was the most traveled first lady in United States history in her time of history. She would accompany the President as the first lady to visit China and the Soviet Union. Her solo trips to Africa and South America gain her recognition. At the time of war Mrs. Nixon would enter the combat zone. The watergate scandal would end her run as presidents wife. Pat Nixon would make rare outings later in life. She lived in California with her husband. Later she would move to New Jersey. Her health would be haunted with strokes and cancer late in life. 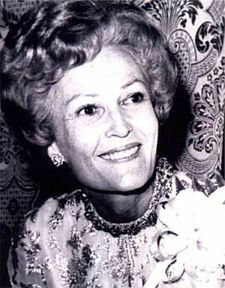 In 1983 Pat Nixon would pass at the age of 81. While it seems like she was a great first lady I also know she must have had great heartache in her time in the whitehouse. Have you thought about setting a trap for a Leprechaun?? After all, it will be St. Patrick's day tomorrow. Take a look at some of these and see what you think. Perhaps you will get an idea of your own. Bait them in with a trap like this that offers a chance at free gold. 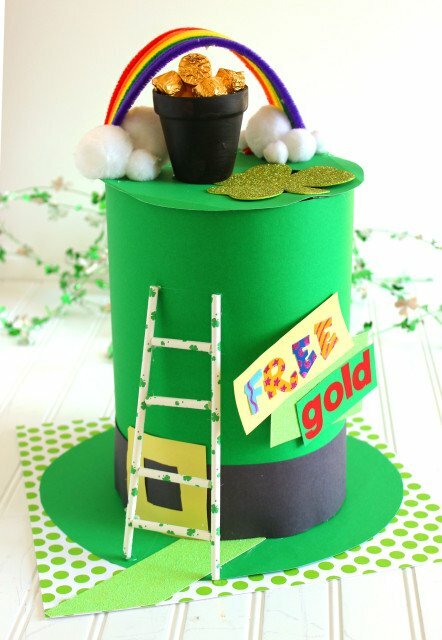 What leprechaun can turn free gold down?? how about a welcoming place to entice the leprechaun to come on in. 1 jars - marinated artichoke hearts, drained, chopped, 7.5 oz. 1 bags - baby spinach, coarsely chopped, 6 oz. Preheat oven to 425° F and coat a 9-inch square baking dish with nonstick cooking spray. Cut potatoes in half lengthwise. Place cut side down on a board and slice very thinly. Place in a large bowl and set aside. Heat broth, Parmesan, garlic salt, cheeses and artichoke hearts in a medium saucepan until cheeses are melted. Stir in spinach and cook until wilted. Stir mixture into potatoes with green onions, mixing well to coat potatoes as evenly as possible. Spread in prepared dish and bake for 30 minutes. Cover loosely with foil and reduce temperature to 375° F; cook for 1 hour more or until potatoes are tender when pierced with a fork. Combine bay leaf, sliced onion, orange peel strips, 3 cloves, and water in crock pot. Cover and cook on Low setting for 8 to 12 hours or until fork tender. Remove meat from broth. Score top of corned beef in diamond shapes. Insert additional cloves to decorate. 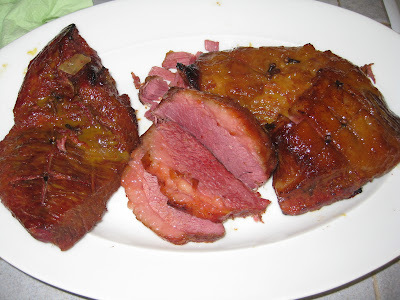 Place corned beef on a shallow baking sheet that has been covered with foil. Prepare glaze by whisking together thawed orange juice concentrate, honey, and Dijon mustard. Spoon a little more than half of the glaze over corned beef. Bake at 375 degrees for 20 to 30 minutes, basting occasionally with extra glaze. Serve with Irish Soda Bread and boiled cabbage and new red potatoes. Combine soy sauce, sugar and ginger and set aside. In a large skillet, heat oil over medium heat. Stir fry chicken until browned. Add onions, green pepper and stir fry for 2 minutes or util vegetables are crisp-tender. Add water chestnuts and broth; bring to a boil and stir in soy sauce mixture and cashews. Serve ladled over a bed of rice. My grand-daughter is learning home-making tips early. At the age of 8 she loves to get in the kitchen and help out. Tonight she helped prepare strawberries. Soon she will be creating dishes like this by herself. Time change just occurred how are you doing?? Many at work today were still getting used to it. The first week of "spring forward" is always a tough time. The longer daylight hours are great but I wake early and can not wait til it is lighter in the morning again. The warmer weather we had last week has been replaced with frigid temps but it looks like the warmer weather will return again soon. I enjoyed the warmer weather as it was just right not too cold but not too hot. So I will be happy when it returns. As far as the sleep, a few moments of napping does great for this. I have been on midnight shift at work and have time change slip right by my fingers. This year I was asleep when the time change occurred and I did not have to work the next day. But the days still seem sluggish as if something is missing. 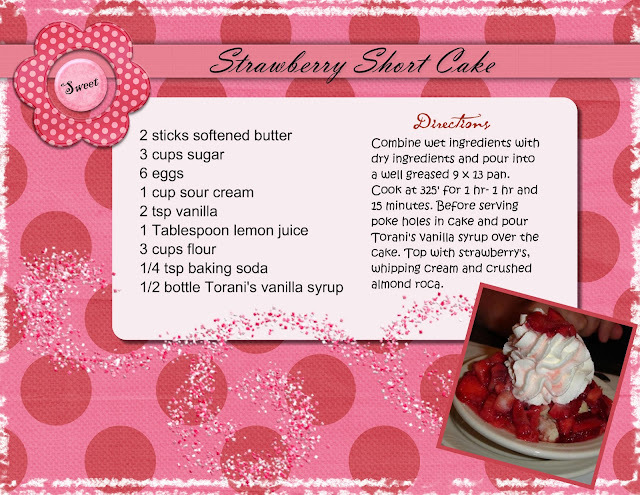 So to make life a bit brighter and welcome in spring and the warmer weather I am sharing this delicious cake. Add the butter and the two sugars to a mixing bowl and cream until combined. Add in the eggs, vanilla, yogurt and bananas. Beat until thoroughly mixed. In a separate bowl combine all the dry ingredients: the flour, baking powder, baking soda, cinnamon and salt. Pour the mixture into a greased 9x13" pan and bake at 350 degrees for 25-30 minutes or until a toothpick comes out clean in the center. Once the butter is browned, transfer it to a small container and let it cool in the refrigerator until it is at least room temperature; it took about 25 minutes or so for me. Add the cooled butter to a mixing bowl along with the cream cheese and vanilla and beat. Add in one cup of confectioners sugar. Slowly mix until incorporated and then whip. Continue adding the sugar, one cup at a time until all has been added or the desired consistency and texture has been reached. Spread on top of cooled cake and enjoy! *Note that it can take as long as 15 to 20 minutes for your butter to brown on medium low heat.